Red And Black telly: 2015, Crap! What will 2016 bring? Letwin disgrace: well we all knew he was a fascist. 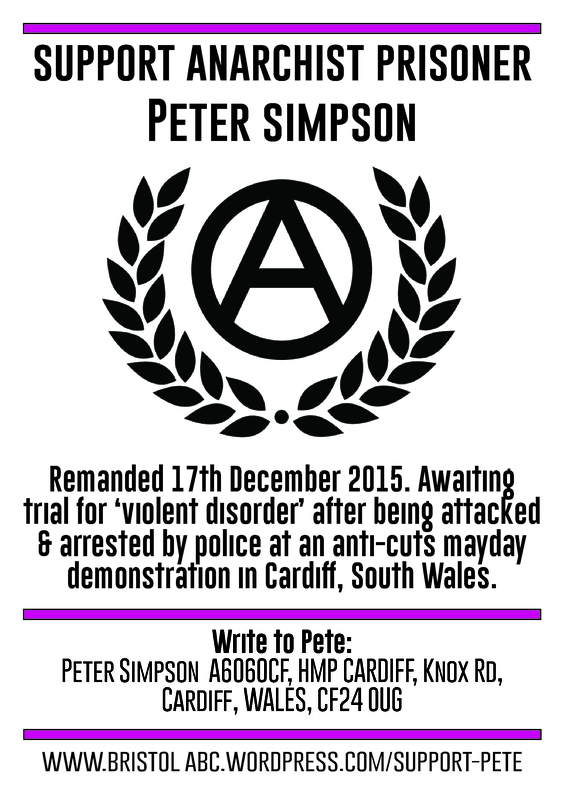 Something else to add to his delightful C.V.
Pete Simpson was remanded on the 17th December 2015. He is awaiting trial for ‘violent disorder’ after being attacked & arrested by police at an anti-cuts mayday demonstration in Cardiff, South Wales. He is on trial with another co-defendant in January 2016. Pete has spent the last several months with an electronic tag, his freedom severely restricted, and a change of bail address led to the court remanding him to prison. Stamps, envelopes, writing paper & books are also welcome. As well as any donations. Banner pictures, dedicated actions & other forms of solidarity are also invited from comrades across the world. We also recommend using emailaprisoner.com if you are writing from abroad. 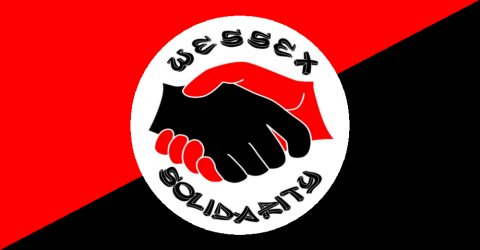 In the last few months, Swindon Anarchists have been teaming up with our mates over at People’s Assembly and Swindon Calais Solidarity to offer practical solidarity to the 7,000 refugees living in the camps of Calais. As well as helping to meet the day to day needs of the refugees, we have been doing what we can to build bridges of solidarity and practically support refugees in resisting the violence and racism of the French and English states, whether in the form of tear gas and truncheon happy riot cops, or the razor-wire topped border itself. In early December, Swindon Anarchists organised 4 vehicles rammed with supplies and volunteers to embark on our second trip to Calais. After a brief stop at a warehouse on the outskirts of Calais to drop off clothes, tents and sleeping bags, we moved on to the camp itself. D.J.s cancel gig at racist Cameo club. “As two black men who have active careers in a high profile arena, we believe we need to act upon our beliefs. It is impossible to ignore these seemingly growing number of cases which are seeing the backbone of the music we love – the audience, and in particular young black audiences – being denied the opportunity to enjoy it as other members of the audience. We deplore this malignancy in Bournemouth, which harks back to the days not so long ago when black artists appeared on stage but were not allowed through the front door. It doesn’t surprise us though. The obsessive, paranoid racism of yesteryear has been revived by an entertainments industry that has always smudged the line between neoliberal capitalism and organised crime. It survives only by sucking our class dry, and selects its clientele every night from a pool of willing victims to maximise the fiscal yield from every square foot, whilst our communities pick up the pieces and bear the burden of the attending social problems. Capitalism can no more provide us with safe and rewarding entertainment than clean air and water. We must take our own spaces and make our own, working class fun, squat party anyone? This looks bad but it’s even worse say homelessness charities. Government homelessness statistics due out next week have been slammed as ‘potentially misleading’ by the UK Statistics Authority after charities warned they were under-estimating the true scale of the homelessness epidemic.